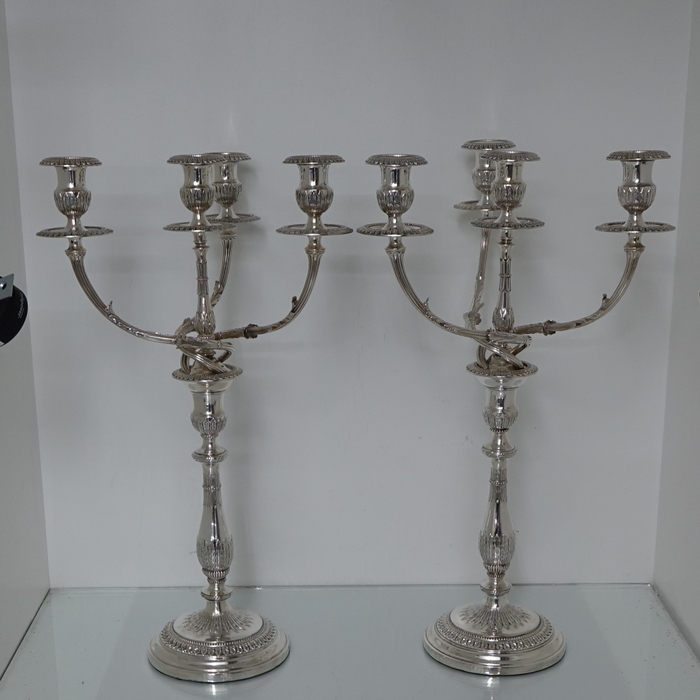 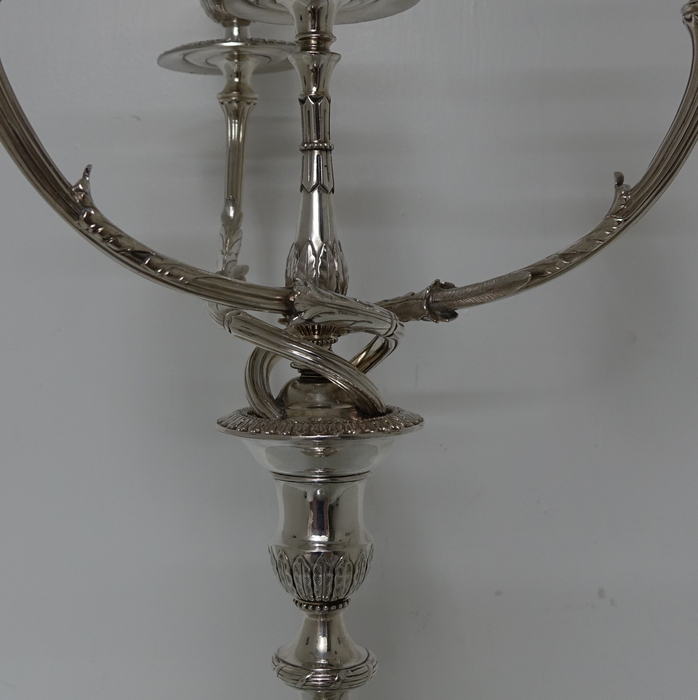 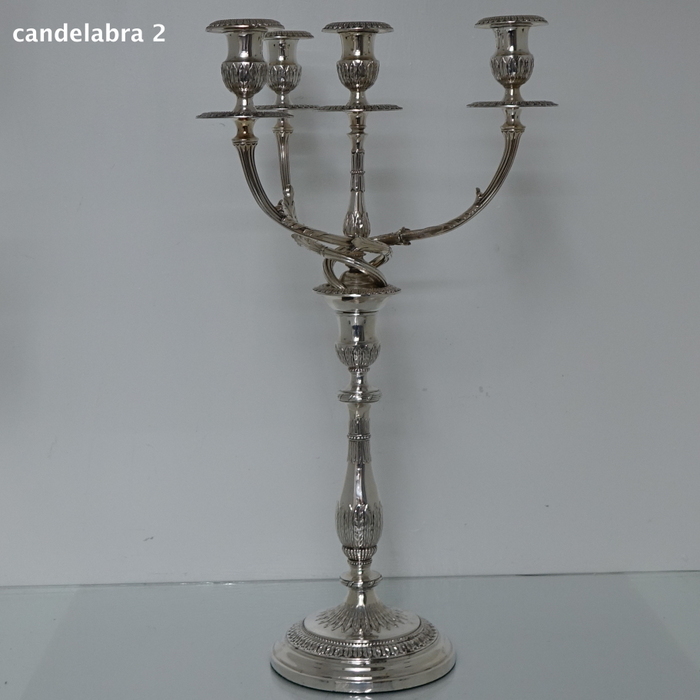 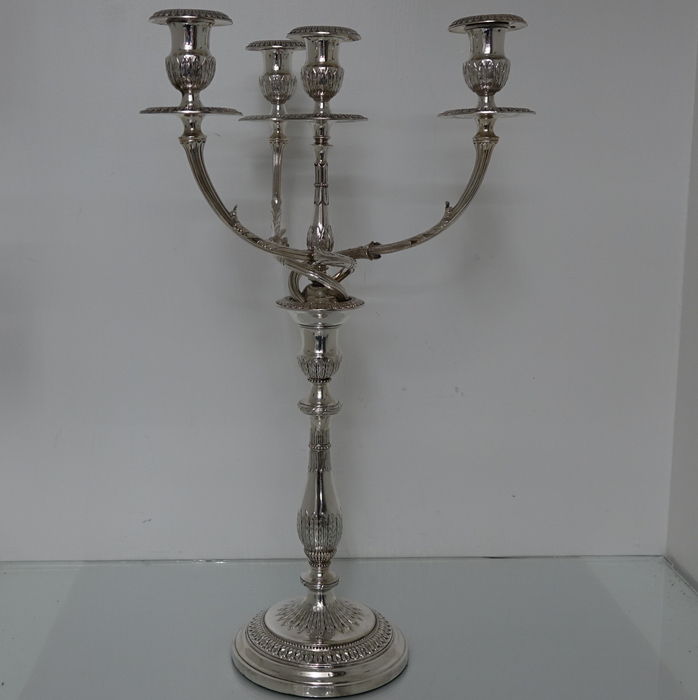 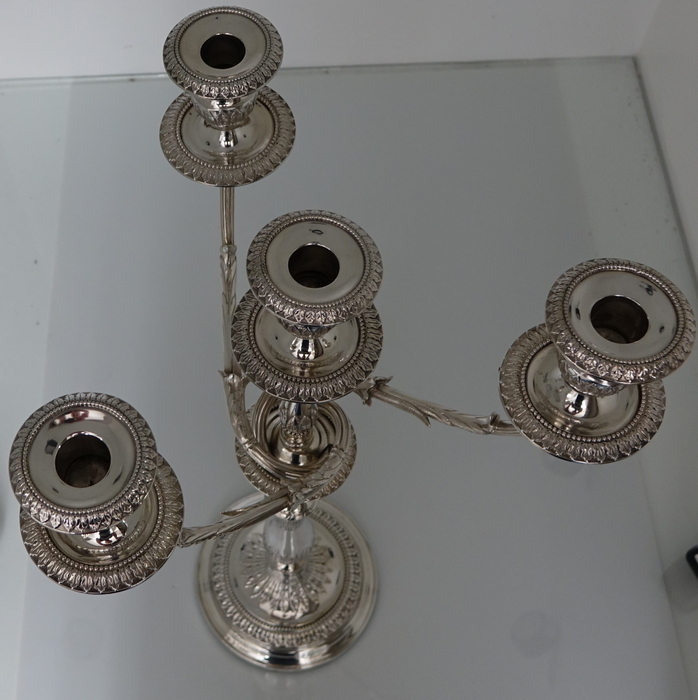 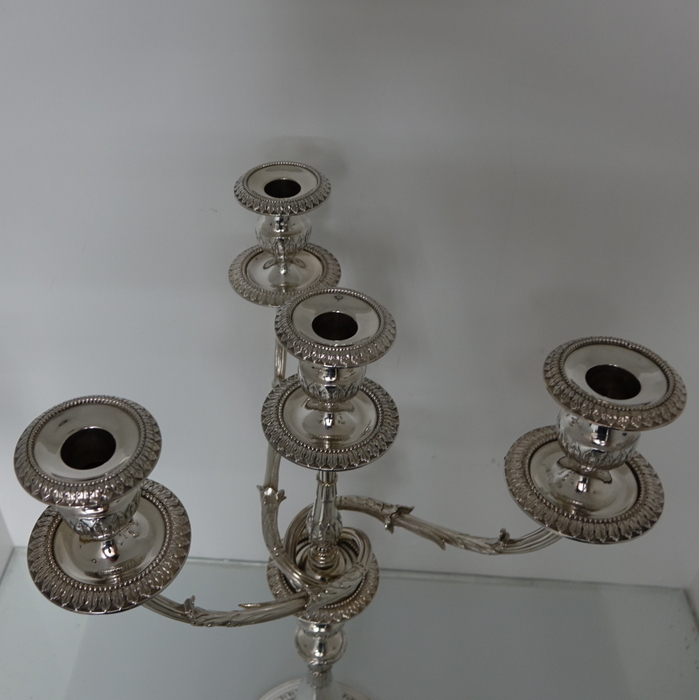 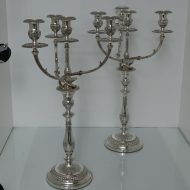 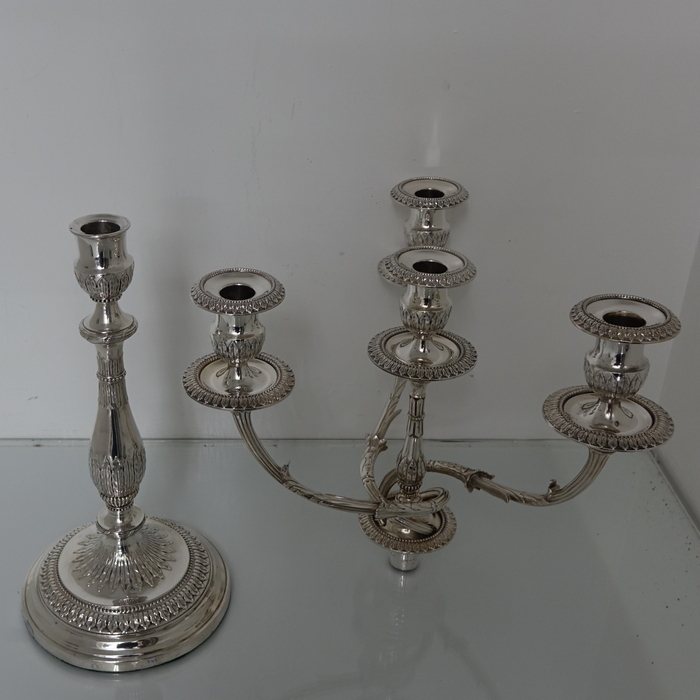 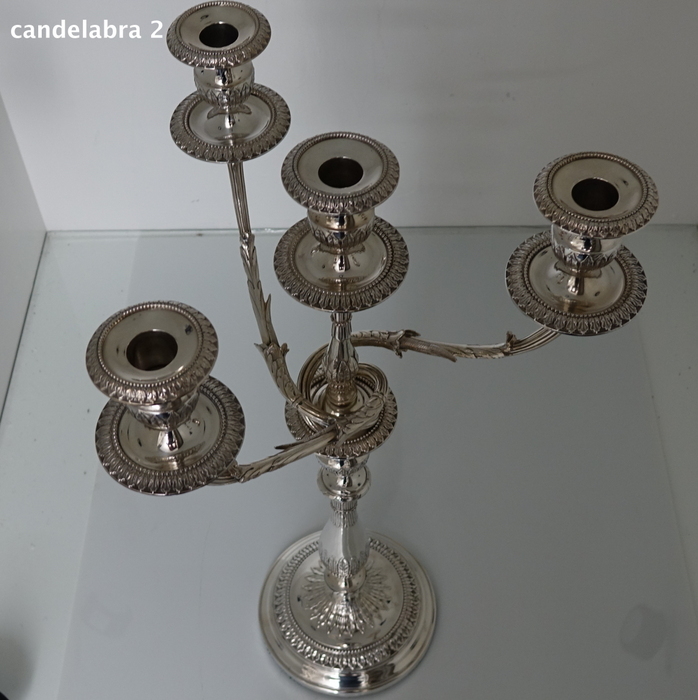 A truly magnificent pair of Old Sheffield four light table candelabras. 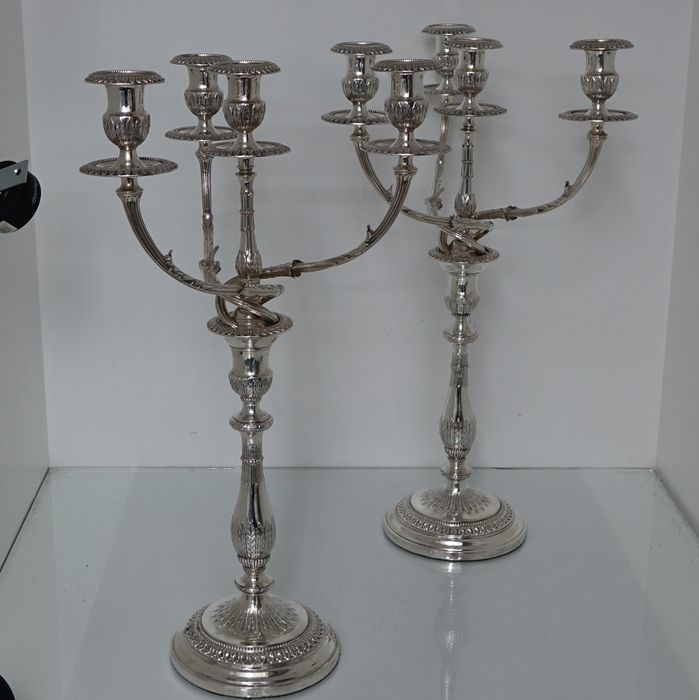 A truly magnificent pair of Old Sheffield four light table candelabras. 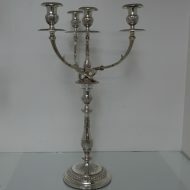 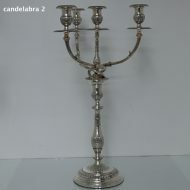 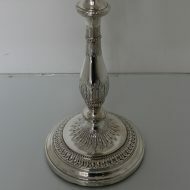 The bases of the candlesticks are beautiful decorated with a bead gallery for lowlights. 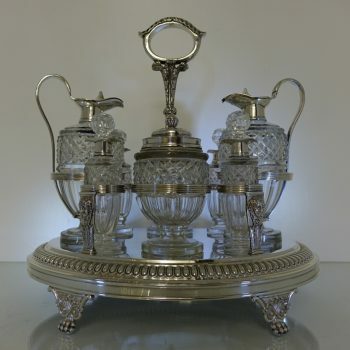 The branches are detachable with ornate matching drip pans and nozzles. The firm was established in Sheffield in 1786 as Roberts, Cadman & Co. 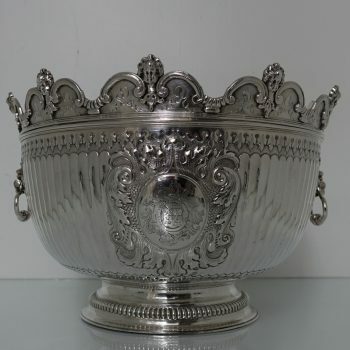 The firm was managed by Samuel Roberts Jr. (son of Samuel Roberts Sr.) and George Cadman (who served his apprenticeship under Samuel Roberts Sr.). 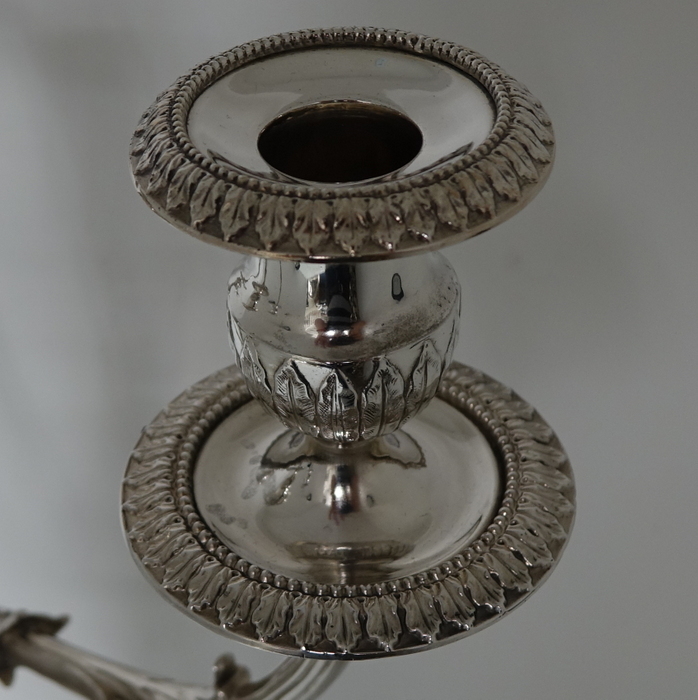 A “sleeping” partner (only financial, until c. 1794) was the Rev. Benjamin Naylor. 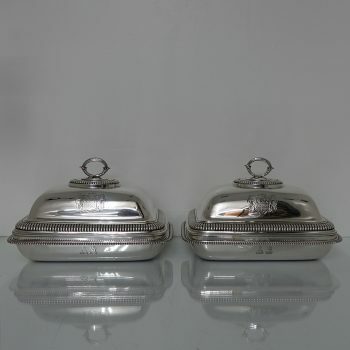 They were active as tableware manufacturers in Eyre Street, Sheffield, in the premises owned by Samuel Roberts Sr. The partnership, with the addition of George Ingall (1816), lasted until 1826 when was succeeded by S. Roberts, Smith & Co. 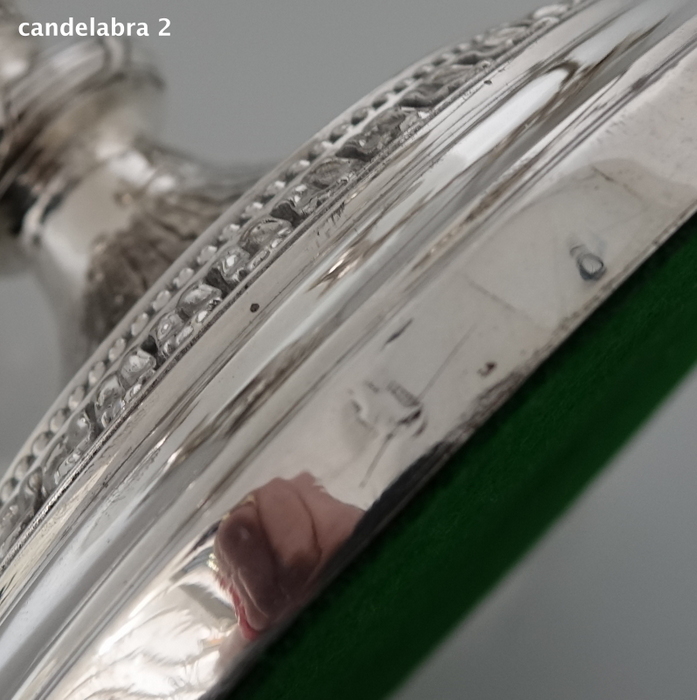 The partners of the new firm were Samuel Roberts Jr., his nephew Evan Smith, his cousin’s son, Sidney Roberts and William Sissons. 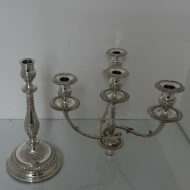 In 1833 the partners were Samuel Roberts, Evan Smith and William Sissons. 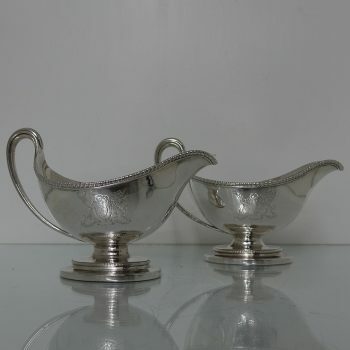 The firm Smith, Sissons & Co., which succeeded following the retirement of Samuel Roberts in 1848, was a partnership of Evan Smith and William Sissons Sr. lasting until 1858. 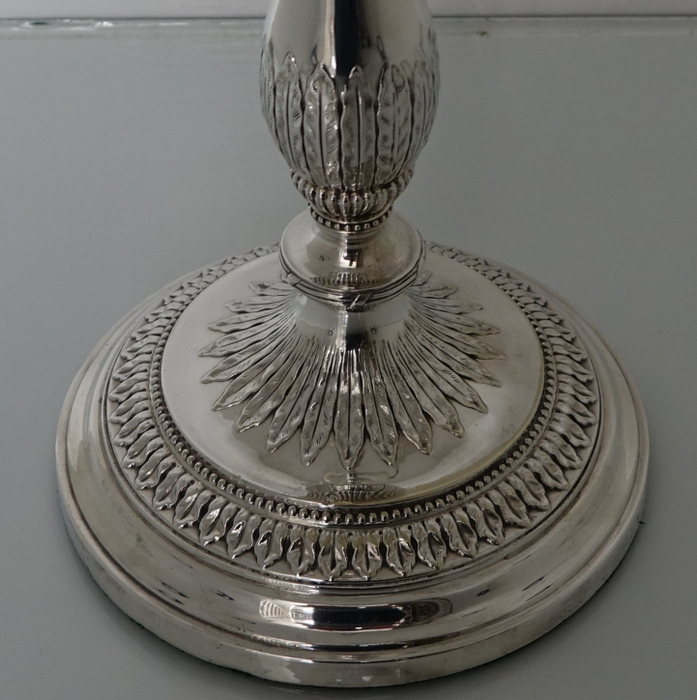 The business was continued by William Sissons Jr. and George Sissons under the style W & G Sissons, entering their first mark as Henry Smith in London Assay Office in 1864 (8 Duke Street, Adelphi, WC). Other marks were entered in London in 1866 by William Sisson and George Sissons (9 Eyre Street, Sheffield and 8 Duke Street) and in 1887 by Walter Sissons and Charles Sissons (75/77 St. Mary’s Road, Sheffield and later on their London Showrooms at 34 Southampton Road and 3 Charterhouse Street, Holborn Circus). 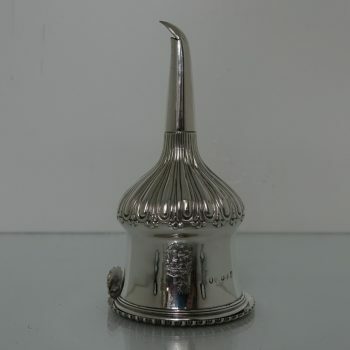 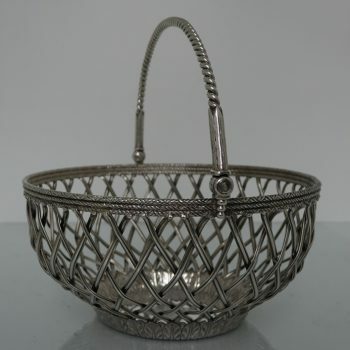 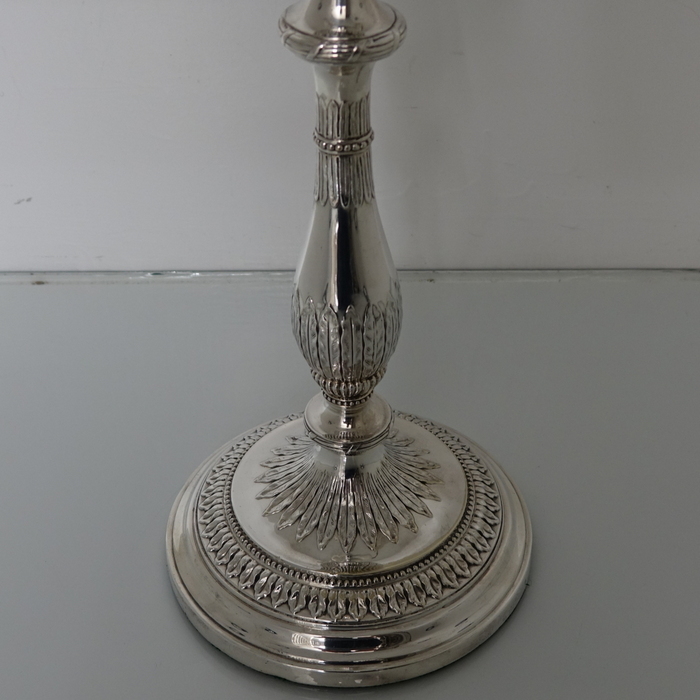 Later the firm was converted into a Limited liability company and in 1943 the manufacturing silversmiths business was transferred to Bell Reproductions Ltd (a subsidiary firm). 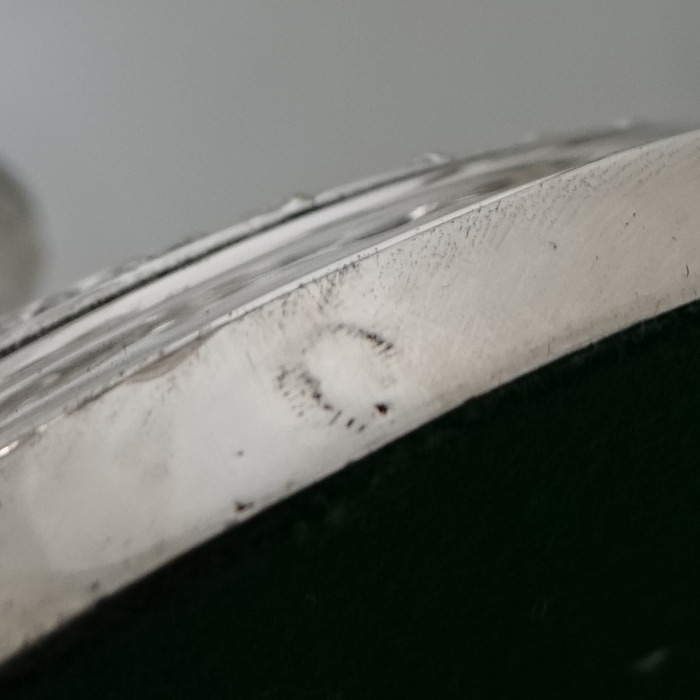 Roberts & Cadman (1785) and Roberts, Smith & Co (1828) registered Old Sheffield Plate marks with the figural symbol of the “bell”. 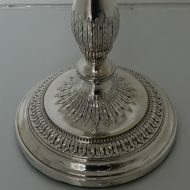 The “bell” symbol was maintained by W&C and W&G Sissons in their electroplated silverware.